Jack has been skiing since he was a kid, this will be his 5th ski season and 4rd in Zermatt. He loves what the town and the surrounding mountains have to offer. 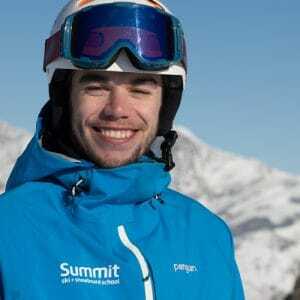 Jack is well on his way to completing his instructor qualifications and when he’s not smashing carving turns on piste he loves playing in the powder off piste (or whatever he can have fun with). When teaching Jack is very patient and knowledgeable, he’s sure to get the best out of you in your lessons and make your holiday the best it can be. Whatever your level, I’m sure I can develop your skiing. Doesn’t matter if you haven’t skied for a while, I’ll be patient and helpful and get you to where you want to be. I like skiing and I want you too like it just as much.